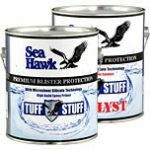 1241 is a multi-purpose, surface tolerant, two-part epoxy coating system that applies easily to non-optimal surfaces yet provides excellent chemical and abrasion resistance for marine vessels and offshore structures above and below the waterline. 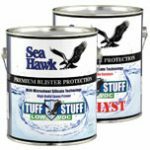 Its chemically-cured formulation allows application at low temperatures, and to damp surfaces, even those exhibiting flash rust. 1241 cures to a semi-gloss finish for use in tank linings or as a pipe coating. Its self-priming nature provides an excellent surface for ship and barge antifouling hull coatings.